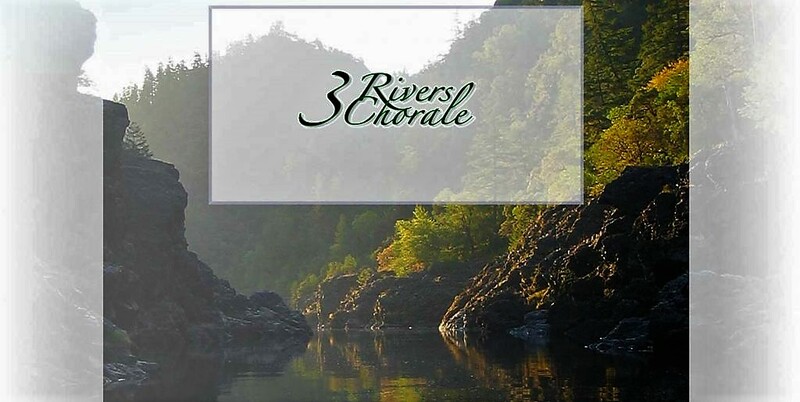 The 3 Rivers Chorale was founded in 2004 by singers who had a desire to sing challenging and beautiful choral music and share it in concert with their friends and neighbors in Josephine County. The chorale has been self-supporting and the tuition covers payment of the director, accompanist, instrumentalists, hall rentals, publicity, and music. We are now a tax exempt public charity which gives us an opportunity to apply for grants for special projects and also allows our friends in the community to become our sponsors and contributors. Kate Campbell has been our music director since September of 2009. Kate is also a piano and voice teacher, has a post as music director at Bethany Presbyterian Church in Grants Pass, and teaches music courses at Rogue Community College. She has extensive background as a choral conductor and pianist as well as a composer and music arranger. We performed several of her arrangements at recent concerts. Kate possesses a sense of musical spontaneity and has the ability to create a new arrangement of a song on the spot during a rehearsal. Several works from previous 3 Rivers Chorale concerts can be seen and heard on YouTube. 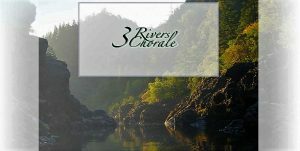 Enter “3 Rivers Chorale, Grants Pass, Oregon” to view them or click Here. You can also listen to our most recent concerts Here. For more information about joining the chorale, contact Kate Campbell at 541-592-2981 or by email using this Link.